Why Can’t Pediatricians Prescribe Medicine Over the Phone? If you’ve ever been frustrated by a conversation like this with your pediatrician, I sympathize with you. These calls are frustrating for us pediatricians too – we want to keep our patients happy by minimizing expense, lost time, and anger. A lot of the time we can help you out over the telephone without making you come in to the office. In fact, studies have shown that pediatricians perform up to 20-30% of all care over the telephone, more than any other medical specialty. So in that regard, pediatricians are really the experts at maximizing telephone care for efficiency and safety. So when your pediatrician seems hesitant to issue a prescription over the phone without first seeing your child in the office, here are some things to consider. 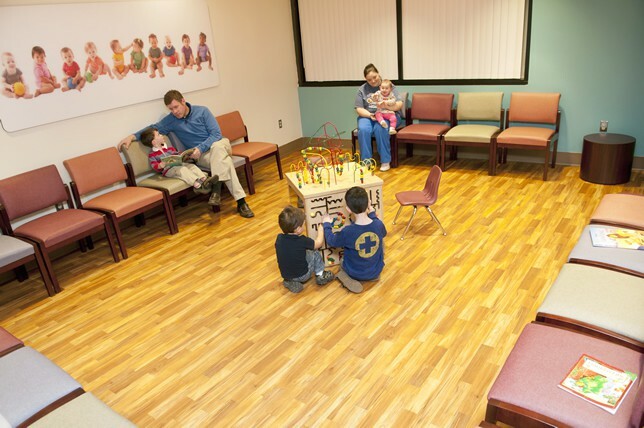 The pediatrician can trust you 100% as a parent while still doubting your diagnostic powers. It may not be as simple as you think. The devastation of not picking up these conditions quickly vastly outweighs whatever convenience exists in phoning in antibiotics for your child. How could you continue to trust me after I failed to identify these serious but treatable illnesses in your precious son or daughter? There’s power in a visual. Let’s say you’re rear-ended at a stop light. You escape injury, but your rear fender has some dents and dings. Trying to get some estimates, you call a body shop and say, “Hey, I was in a minor fender bender. How much will you charge to fix it?” The auto shop says, “Hmm, well, there’s fender benders and then there’s fender benders. You should probably bring it in so we can see what the extent of damage is.” Then you say, “But I’m telling you, nothing’s affected but the rear fender. There’s a small dent. My car is a 2005 Accord. Just give me the estimate over the phone, please.” The auto guy says, “That’s really hard to say. I can’t make a proper estimate without eyeballing it.” Then you say, “But I’m trying to get three estimates by the end of the day. No way can I take my car to all 3 body shops. Just give me an estimate!” At this point, the auto guy might politely decline to do business with you. While the damage may be obvious to you, it’s not to him, and you may not be giving the kind of details or definition that allows him to make a good determination over the phone. Also, you’ve seen it: If your spouse calls and says, “Honey, I dinged the car…” you still want to see for yourself what the damage looks like. Does that mean you don’t trust your spouse? Please don’t ask your pediatrician to violate her conscience. I might drag you in unnecessarily for a simple ear infection that you had all figured out. You have the right to be disappointed, change doctors and move on, if you want; your child, your choice. But if I miss something that threatens your child’s hearing or life, I’ll know how I failed for the rest of my life. Since I have to live with my conscience, let me drag you in, even if you’re sure it’s unnecessary. If it’s really that you can’t afford another copay or missing more time from work, I totally get that. But you have to be honest; if that’s so, tell me. I could make a house call; I could stay late or come early before you have to be at work; I could write off the cost of your office visit. Those things are negotiable. But asking me to violate my conscience isn’t. A face to face breakup requires a degree of bravery. He has to say those words to wet eyes and quivering lips. He has to be aware of his tone and non-verbal communication (e.g. body language). A text message breakup is cowardly and insensitive. It communicates detachment, coldness, and disregard. The words are almost pointless. The medium overpowers them…. Everyone should know that a message is deeply tied to its medium. If you change the medium, you change the message. In the same way, electronic or telephonic pediatric healthcare sometimes leaves out important elements. 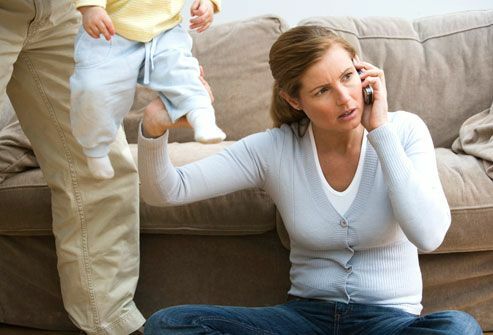 If you call me for advice about your colicky baby, I can tell you five things that will help soothe and settle her. But I can’t see your eyes – to see how upset you are at the constant crying. I can’t see your partner’s eyes, to see how worried he looks when he sees how exhausted you are. I can’t see your hands tremble, as you describe how you rock her hour after hour without improvement. I can’t see your eyes tear up as you think about another sleepless night. And you can’t see the concern in my eyes, or the inclination of my posture, or the tilt of my head to know: Yes, I am really listening to you. Yes, I am truly concerned for your baby. Yes, this is a fixable problem. While you may not need this certainty and comfort with your child’s earache right now, there may come a time when you might benefit from it. So if I suggest an office visit, it might be that I want to see your eyes. Suzanne Berman is a practicing general pediatrician in rural Tennessee. She admits to, uh, being experienced in getting estimates for dinged fenders. Having lived in the South for much of my life, I have a healthy respect for states’ rights. Local governments are more sensitive to their constituents’ issues, as well as better judges of how to manage them, than a well-meaning but massively out-of-touch federal government, whose legislative mandates might make perfect sense in one community but pose a significant burden to another. Diversity also promotes some healthy competition. Two states, struggling with the same issue, come up with different approaches to the same problem. Take the Massachusetts model and the Utah model for health insurance exchanges. Health economists and politicians argue their relative merits but seem to forget the good news: we need not choose one over the other. Because we have Massachusetts and we have Utah, we can have two different designs, executed simultaneously, each serving their citizens as they see fit. Lois McMaster Bujold’s heroine Cordelia Vorkosigan describes this continuous parallel experimentation phenomenon as fifty-one sociopolitical culture dishes. I’m thus reluctant to sneer at a regulation which I might perceive as poorly thought through, if not downright goofy, as long as it’s in another state, and that state’s citizenry is willing to give it a whirl. I’m willing to grant you a modicum of grace without smirking as long as you don’t laugh too loud as we in Tennessee try to work through our own legislative kinks. With that said, when a bill or regulation proposed in another state’s legislature is so ill-reasoned, it blasts right past stupid into scary. Every newly-opened legislative season has its own particular crop of two-standard-deviations-beyond-the-mean-of-crazy. Ah, yes, speaking of open season… A proposed Florida law would make it a felony for pediatricians to discuss gun access with families. First of all, a felony? Five years in jail or $5 million for following a national standard of pediatric preventive care? Interestingly, this started as a pediatrician exercising his right to terminate the physician/patient relationship when his patient steadfastly refused to communicate with him about guns. Since this bill would make it illegal to discharge such a patient from one’s practice, a physician would lose his say in whom he treats. Not only could doctors not ask about guns, they would be forbidden to put any notation in a chart or tell anyone else. If a child came to my emergency room with a bullet wound, I would not be permitted to ask how it happened, or let law enforcement know my findings. I’m curious to know if the bill’s sponsor thinks physicians are just waiting to release tabulated data on gun owners to Big Brother. But I’m even more curious to know how this felony could be prosecuted, since my medical records are protected as confidential. I’m feeling a lot of hostility oozing out the edges of this bill. And I don’t get it. I practice in a rural, gun-dense area; we discuss this right along with car safety seats, swimming pools, and medication safety. Even dads who come in wearing NRA LIFE MEMBER caps see it as an opportunity to train their kids to respect the power of firearms. I get the bit about how this is a Second Amendment issue. However, were this law passed, Florida would trample the Eighth, Thirteenth, and Fourth Amendments. And that, of course, that would violate the first section of the Fourteenth Amendment and work against the Tenth, which allows us to our sociopolitical culture dishes to flourish. Dr. Berman is a practicing pediatrician in rural Tennessee. She enjoys finding applications of science fiction quotations to medical practice.